New Delhi: The government today said it has not taken any decision on permitting Foreign Direct Investment in multi-brand retail trading. "As per the extant FDI policy, FDI up to 100 per cent is permitted in single brand retail trading. No decision on FDI in multi-brand retail trading has been taken," Commerce and Industry Minister Nirmala Sitharaman said in a written reply to the Lok Sabha. As per the current policy, 51 per cent FDI is permitted in multi-brand retail trading. 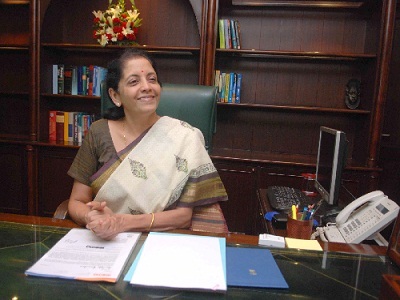 When the UPA-led government announced the policy, BJP had strongly opposed.Sitharaman, after assuming the office, had indicated that foreign players will not be allowed to open mega stores in the country, saying that FDI in multi-brand retail trade will adversely impact small traders and farmers. There have been speculations however that the government would not roll back the policy and leave it to the states to implement it. India has received USD 37.1 million FDI in the sector. "As per extant FDI policy, FDI up to 100 per cent under the automatic route is permitted in B2B e-commerce activities. The present policy does not permit retail trading in any form, by means of e-commerce, for companies with FDI engaged in the activity of single/multi brand retail trading," she said.